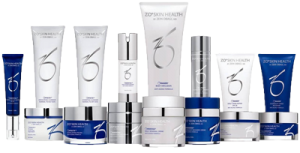 ZO® Skin Health is a revolutionary line of professional-grade skin care products founded by Dr. Zein Obagi (also the founder of Obagi® Medical Products). Our board-certified plastic surgeon, Dr. David Durst, recommends these diverse skin care products to our patients at the Cosmetic Surgery Center of Huntsville to help maintain healthy, vibrant skin while slowing the onset of age-related and environmental changes. Designed to maximize the health of your skin with the latest skin therapy innovations, ZO ®Skin Health is intended for daily use as a comprehensive approach to skin care. These products are designed for men and women to effectively support virtually all skin types, regardless of age, ethnicity, or skin condition. Which Skin Care Products Are Right For Me? ZO® Skin Health offers a wide range of specialized treatment programs to address a broad spectrum of common facial skin concerns, and can be used to effectively treat acne, reduce fine lines and wrinkles, exfoliate the skin, and provide sun protection. With five programs to choose from, ZO® Skin Health products can firm, smooth, tone, and hydrate the skin. These products can be purchased right in our office, either as a complete skin care kit or individually. Phase I: Daily Skincare Program: Designed to improve skin tone, refine pores, maintain hydration, and protect the skin against sun damage. Phase II: Anti-Aging Program: Designed to reduce the appearance of fine lines and wrinkles, refine skin tone, minimize pores, protect the skin against sun damage, and achieve a youthful complexion. Phase III: Aggressive Anti-Aging Program: Designed to reduce signs of more severe fine lines and wrinkles, refine skin tone, minimize hyperpigmentation and age spots, strengthen the skin by maximizing hydration, and prolong the results of laser skin treatments. Acne Prevention and Treatment Program: Designed to slow the production of sebum, remove dead cells from the skin’s surface, eliminate blackheads, unclog pores, and tighten pores. Skin Brightening Program for Hyperpigmentation, Non-Hydroquinone: Designed to treat hyperpigmentation and skin discoloration, brighten the skin, and reduce the appearance of fine lines and wrinkles. If you would like to learn more about ZO® Skin Health products, or to schedule a consultation with Dr. Durst to discover which skincare treatment program might best suit your unique needs, please contact our office today.